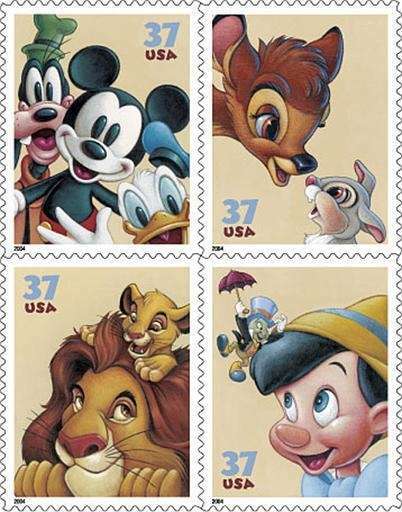 The evolution of the world's most iconic cartoon character and the mascot of The Walt Disney Company. 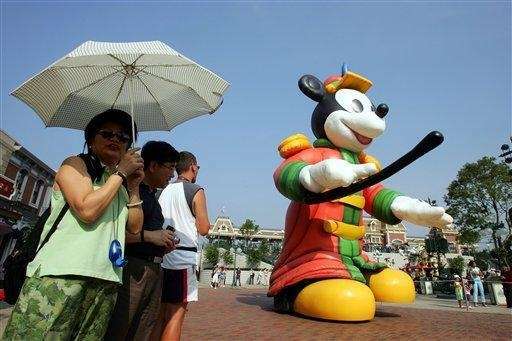 Mickey Mouse made his screen debut in 1928 with the premiere of "Steamboat Willie," the first cartoon with synchronized sound, which made its film debut at the Colony Theater in New York. 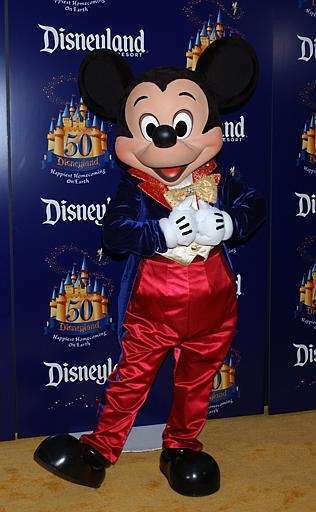 That day, Nov. 18, 1928, is considered the official birthday of Mickey Mouse, though he was born in Walt Disney's imagination several months before his movie debut and also featured in a short animated film called "Plane Crazy," which was made before "Steamboat Willie" but released after. 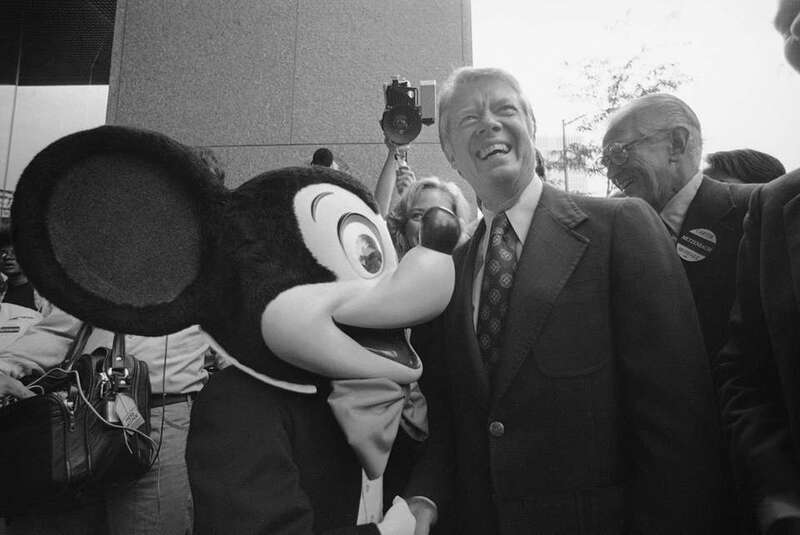 Walt Disney's first cartoon character was a rabbit named Oswald, but he lost the rights to the rabbit in 1927 and went on to create Mickey Mouse. 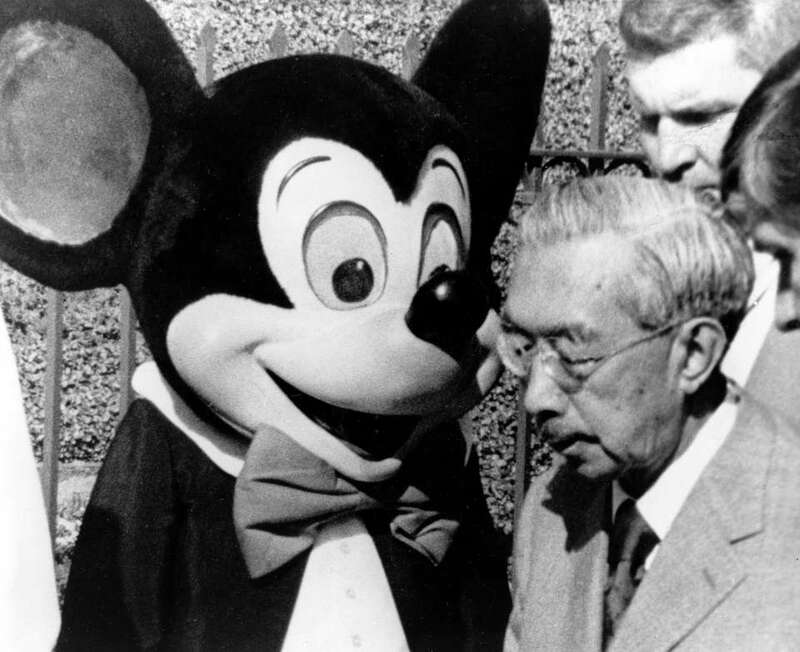 Walt Disney poses with one of the first Mickey Mouse dolls in this undated photo. 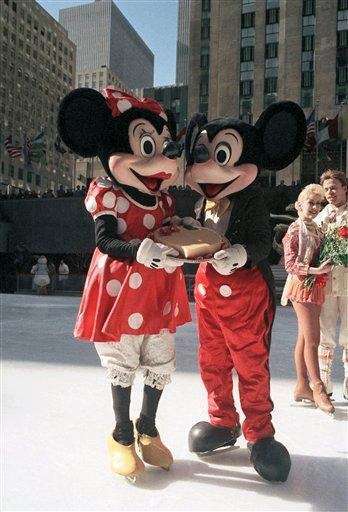 An original 1938 sketch of a Walt Disney Mickey Mouse cartoon done by Walt Disney artists Frank Thomas and Ollie Johnston. 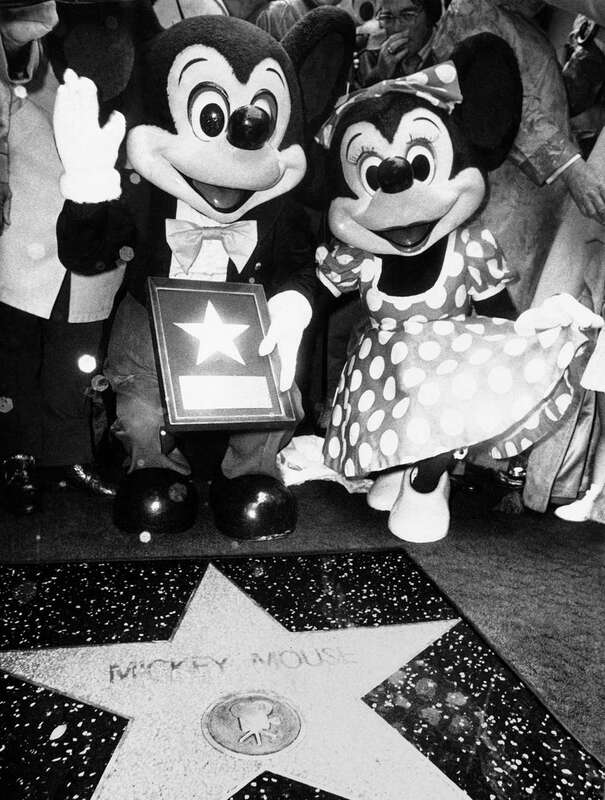 After 74 years, the famous mouse remains the longest-lasting Hollywood star of all. 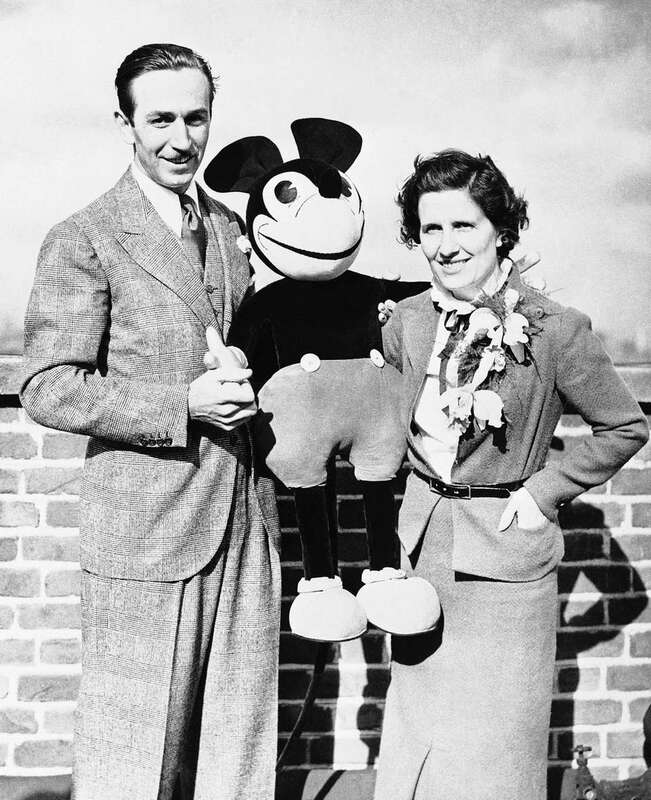 This undated file photo shows Walt Disney holding Mickey Mouse dolls, designed in the 1930s by Charlotte Clark. 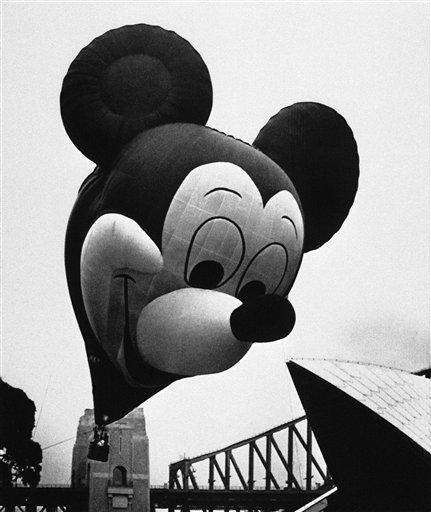 Mickey Mouse flies high in Macy's annual Thanksgiving parade in an undated photo. 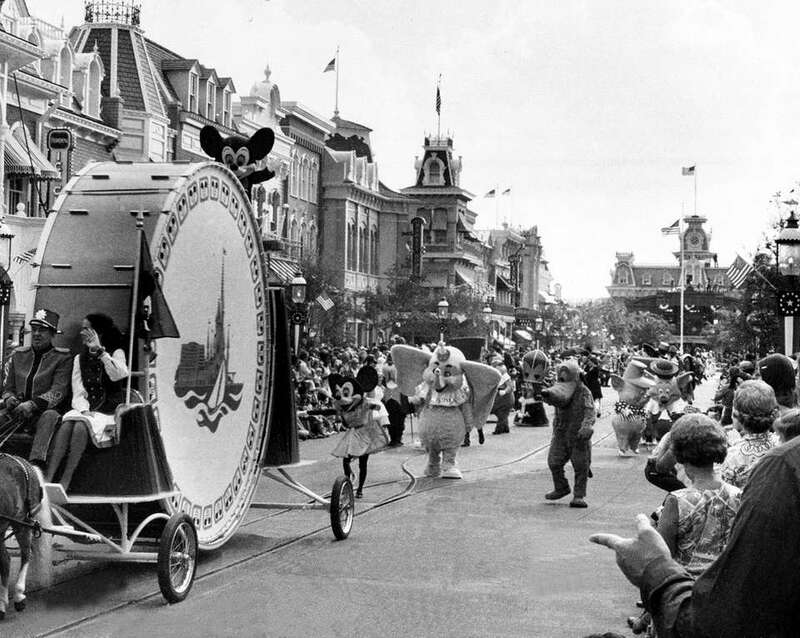 America's favorite mouse first flew in the parade in the 1930s, and a second version flew from 1968-82. 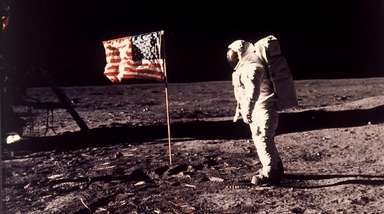 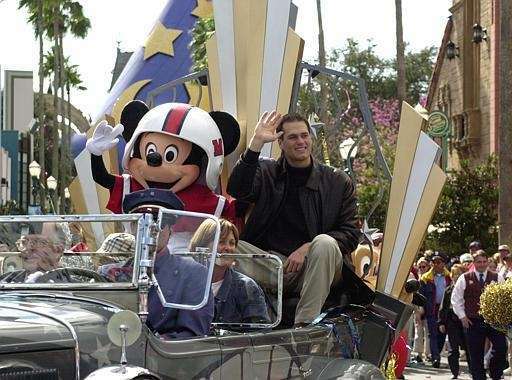 A new balloon led the parade in 2000. 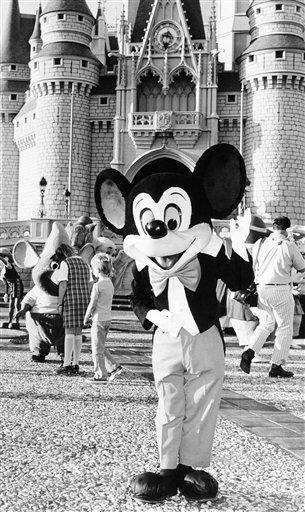 Mickey Mouse waves in front of Disneyland in 1987. 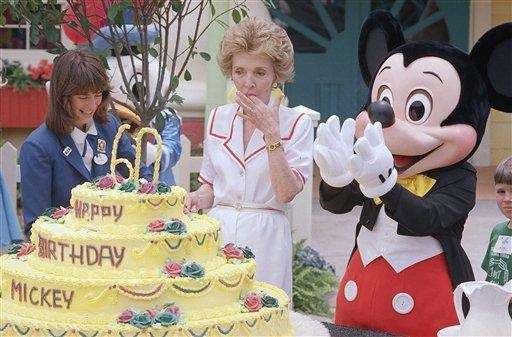 First lady Nancy Reagan helps Mickey Mouse cut his 60th birthday cake during a visit to the Magic Kingdom in Lake Buena Vista, Fla., in 1988. 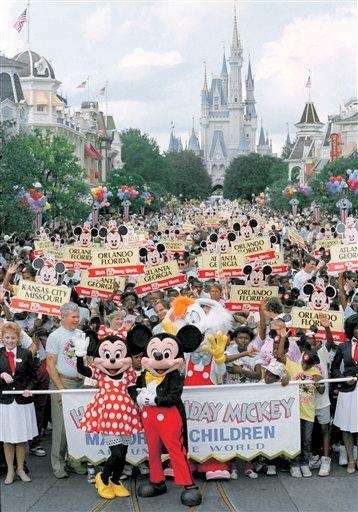 Mickey and Minnie Mouse lead a group of 4,000 children from 116 cities down Main Street during Mickey Mouse’s 60th birthday party at Walt Disney World in Lake Buena Vista, Fla., on Nov. 18, 1988. 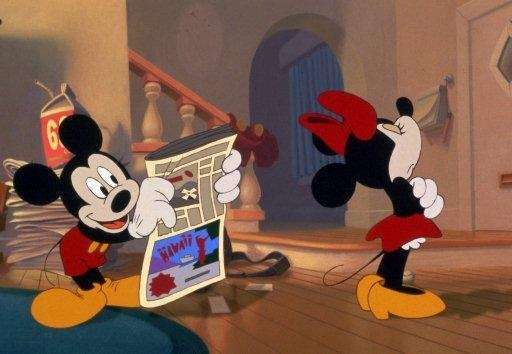 When Minnie Mouse gives Mickey Mouse the cold shoulder for forgetting an anniversary, he quickly produces a newspaper ad indicating the special date he had planned, in a scene from Walt Disney's 1995 animated short "Runaway Brain." 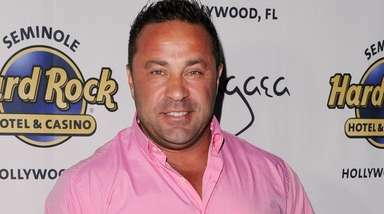 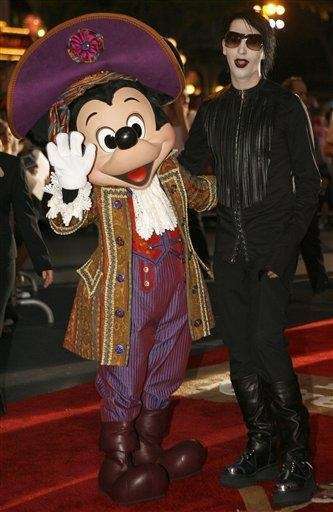 Mickey Mouse has a teenage physique in the film, his first theatrical short in 42 years. 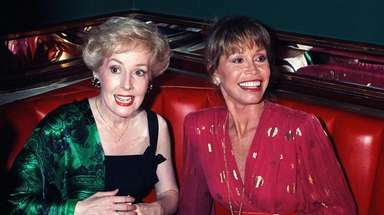 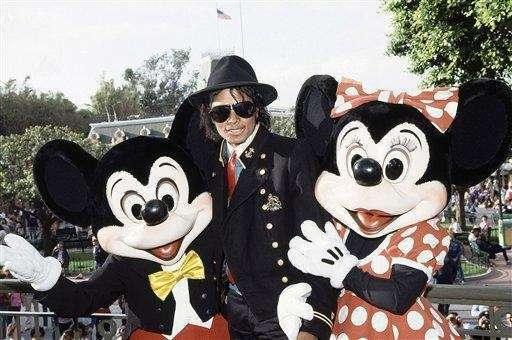 Disney Channel's "Mickey Mouse Works," a half-hour animated series, joined the Saturday morning children's lineup in 1999, marking the first time Mickey, Donald Duck, Goofy, Pluto and Minnie Mouse starred together in a television series. 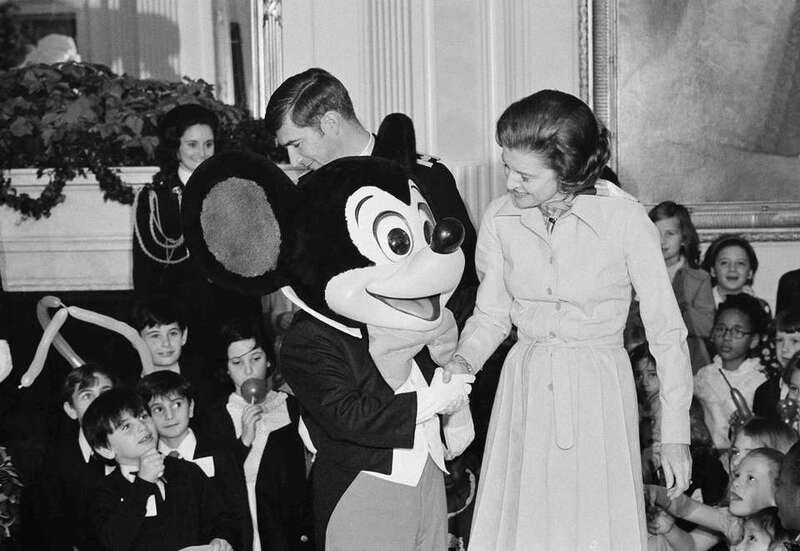 Before this series, Mickey hosted "The Mickey Mouse Club," which debuted in 1955 as one of the most popular children's shows of all time. 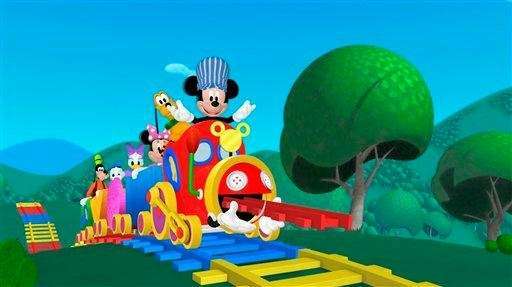 In this publicity image released by the Disney Channel, a scene from "Mickey Mouse Clubhouse Choo Choo Express," features Disney characters Mickey Mouse, Pluto, Minnie Mouse, Daisy, Donald and Goofy. 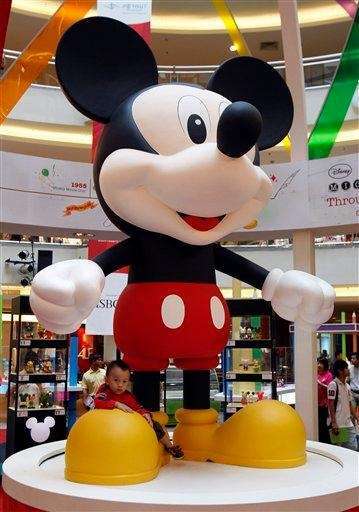 The "Mickey Mouse Clubhouse" television series has been airing since 2006.